LIVERPOOL'S vibrant and diverse world culture will be celebrated next week as part of the new 3 day 'Liverpool Loves' festival. Often described as having the 'World In One City', Liverpool is home to an exciting mix of cultures and communities; and many will be represented at:- 'Liverpool Loves' next Saturday, 8 August 2015. The fun starts at 10am when visitors are invited to the iconic setting of Pier Head Liverpool; part of the City's UNESCO World Heritage Site; for a full 12 hours of activities, workshops and entertainment. The family friendly programme will span across zoned areas covering music, the arts, dance, food and drink and health and well being; creating a real festival atmosphere at the heart of the waterfront. The day's programme will take place indoor in a bespoke Big Top, outside on a number of stages, and within zoned outdoor areas for culture, health and well being, and refreshments. 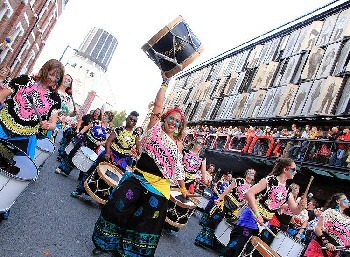 Liverpool's fascinating culture will feature traditional dance, music and art from the communities represented. 'Liverpool Loves' is a free festival. Liverpool is home to Europe's oldest Chinese community, and the City has the largest Chinese arch outside mainland China. To celebrate their Chinese heritage in Liverpool, China Pearl will host a parade of traditional stunning Chinese costumes. The parade will start from the festival's main entrance; located on Canada Boulevard between the Royal Liver Building and the Cunard Building; and will make its way through the festival site to the Big Top. China Pearl will also perform Chinese music and dance, as well as inviting festivalgoers to participate in the grandeur of a Chinese Tea Ceremony. Visitors can try their hand at the traditional art of Chinese painting and origami with HuaYun Arts, who will also be performing excerpts from the Huanhmei Opera and showcasing the majestic Chinese harp. The Indian community will celebrate through dance, with RuShee Dance Group performing a number of spectacular Bollywood and Bangra dance routines. This promises to be energetic, colourful and has to be witnessed 1st hand. Liverpool Arabic Arts Festival presents a wonderful selection of music and dance celebrating the Arab culture, which always proves to be popular during their annual festival. Brazilian samba drum ensemble Katumba will entertain visitors with their unique sound, colourful look and high impact choreography. A definite crowd puller. But this isn't all. There will be plenty of nods to Liverpool culture within the programme. Early birds are invited to start their day at 'Liverpool Loves' with a morning rave from Morning Gloryville; the perfect way to shake away that sleepy head with dance, relaxing massages and fruit smoothies. Sing Me Merseyside Choir's live performances are certain to be a highlight of the day, including live renditions of famous Liverpool songs. So get that voice warmed up as audience participation is a must! Martin O'Shea from Bold Management is curating the soundtrack to the day, which will feature a live music programme across four stages throughout the day and evening, including 'Liverpool Loves' New Music; Dovedale Social; Merseyrail Sound Station and 'Liverpool Loves' Allstars. 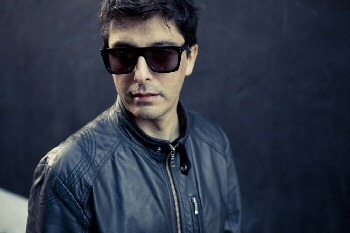 Dance music fans will not want to miss Portuguese producer and DJ Rui Da Silva who closes the Big Top Stage, famous for the anthem Touch Me which went to number 1 in the UK charts in 2001. While the live music is on the outdoor stages, those looking for an alternative can try the 'Shush Silent Disco'. Great for all ages; and plenty of fun guaranteed. Play your part in the 'Liverpool Loves' community art piece, 'Love Art UK'. Help spread the word of love by writing a message on 'The Love Wall' about what love means. Shopping and fashion are part of Liverpool's exciting culture. For those who love a bit of vintage shopping, then 'Capstan's Bazaar' will be on hand throughout the day with a range of stalls offering the ultimate vintage finds when it comes to trinkets, arts and crafts. After those vintage discoveries have been made, take a trip to the Button Boutique workshop where visitors can make their own fascinator or for a bit of Liverpool fun, create a Scouse puppet. The cultural programme will run alongside a dedicated children's activity area hosting arts, crafts and dance workshops. This includes circus skills from the:- 'Free Fall Circus', from The Florrie, who will be offering tasters in hula hooping, the unicycle, juggling and Diablo and poi. 'Liverpool Loves' is the final day of the 3 day festival, which starts with 'Liverpool Loves' Business on Thursday, 6 August 2015, and 'Liverpool Loves' Ireland on Friday, 7 August 2015. 'Liverpool Loves' will shine the spotlight on all that is special about Merseyside, through 4 key core themes for 2015:- "business, culture, food and well being." The North West Fund are headline sponsors of 'Liverpool Loves' Business. They join Campanile Hotels UK, part of Louvre Hotels Europe, who are also supporting the event. 'Liverpool Loves' is also supported by the City's Mayor Joe Anderson. Keep up to date with the latest announcements at:- LiverpoolLoves.Co.UK.